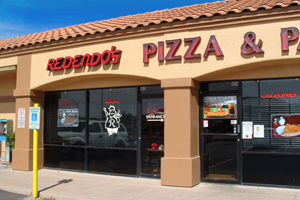 Pizza, Italian Cuisine — Chef and Owner Anthony Redendo has worked hard to ensure that Redendo’s is your choice for dining in Fountain Hills. 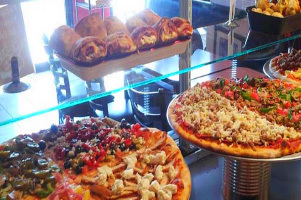 With an extensive menu, there is a large selection of delicious Italian food to choose from. From appetizers to dessert, you will find a satisfying selection of gourmet food. Add to that a carefully selected wine by the glass and your dining experience keeps getting better. Just offering their customers great food and wine, Anthony and Carolyn worked hard to turn this former pizza joint into a fun, interesting, and comfortable environment for their dine in patrons. From the fabulous brick walls built by Anthony’s father, tothe NYC artwork and paraphernalia, all the way to the XM Satellite stereo music (which can often be found playing classic Big Bands from the 1940′s and the 1950′s). Everything is designed to make your dining experience pleasurable.